A measure of warm summer days can be made by the amount of watermelon our family consumes. There is nothing as refreshing when the sun is shining! Not wanting to waste more of it than we need to, we use the otherwise discarded rind to make this delicious Greek sweet. Spoon sweets are a hospitality sweet in Greece. Their extremely sweet taste means that they are served on a saucer in very small portions. A teaspoon is placed on the plate as, due to their syrupy nature you cannot eat them with fingers alone, and the lush confection is served along with a glass of iced water to wash it down with. You don’t have to stop at using watermelons – this works well with any melon (and in fact the photograph is a mixture of honeydew and galia melons), and there are also a number of variations of this recipe which work with other fruit too. 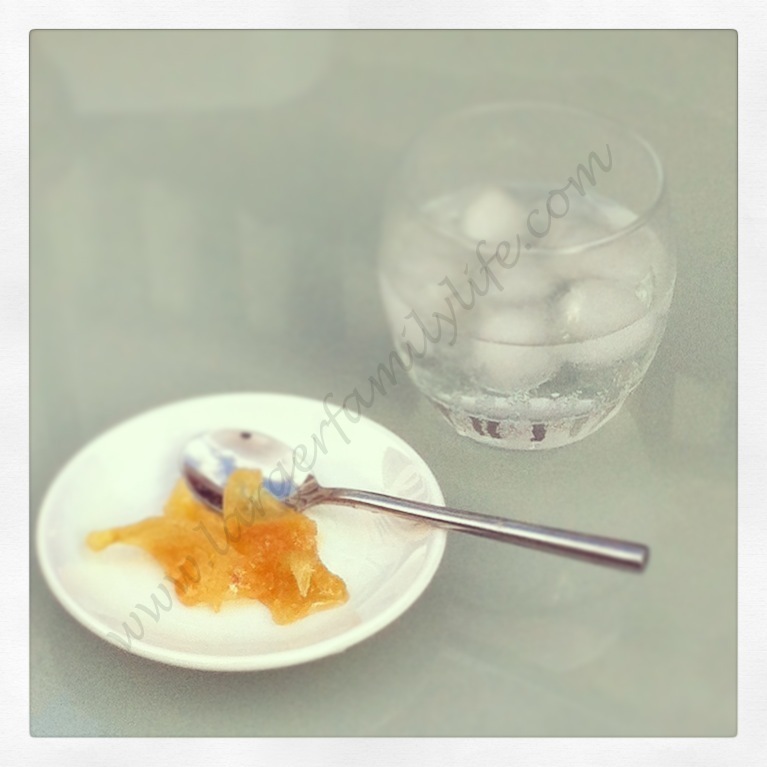 This recipe is very easy to do and the sugar ensures that it stays preserved in sterilised jars for a long, long time. Carefully remove the outer skin from the rind, ensuring that each piece of the rind is at least 1cm thick. Cut into thick strips or diamonds. Place in a pan and cover with cold water and the juice of two lemons. Leave to soak for 1½ hours, then drain. Heat the sugar into four cups of cold water over a low heat until dissolved. Once dissolved add the rind and lemon zest. Cover and leave to simmer for 2 hours, stirring occasionally. The sweet is ready once the rind becomes a transparent yellowy colour and the water becomes syrupy. If the syrup is too thick add one more cup of water. Add the teaspoon of vanilla extract and stir in. Once the sweet is ready pour into sterilised jars and close tight to seal. Improve your shower time with Egyptian cotton towels! Watermelon is been part of our diet since I was born and the same for our kids. We can’t imagine hot summer days without it. The best refreshment ever!